In today’s ambitious business environment, technology investments need to be tightly connect with business case benefits, and should also provide the means to respond to evolving business dynamics. Organizations are willing to invest towards process standardization to control cost. On the other hand they are becoming more inclined towards use of newer technologies to stay ahead of competition. 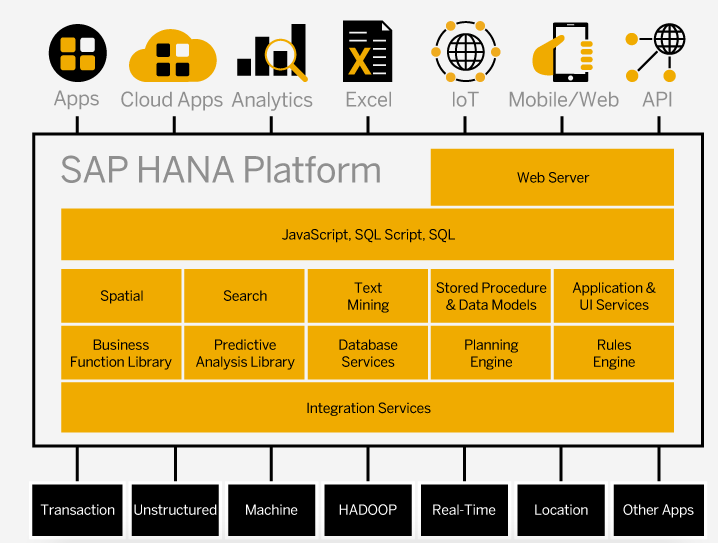 To help manage these organizational goals, today’s SAP goes beyond process standardization and enables a simplified digital experience – SAP Hana for Big Data and advanced analytics, SAP Mobility Platform for a plethora of mobile solutions, and SaaS solutions such as Ariba and SuccessFactors. Today’s business is all about attuning to the changing needs of the environment. The four major challenges faced in the modern business era are increasing technological complexity, rapid business change, high cost of maintaining IT infrastructure and the pressure of regulatory demands. These issues erode profitability, flexibility and competitiveness. Deep rooted process knowledge combined with high quality SAP expertise, gives IrisLogic an unmatched advantage to be your partner for all kinds of business landscape. Businesses today have to face challenges such as having to capture a variety and a huge volume of data pouring in from multiple sources such as real-time operations, historical data, machine data and customer touch points. They also need to analyze this data and identify relevant patterns for getting relevant insights, while being prepared to respond to market situations in real time. By combining state-of-the-art in-memory database technology with optimized server hardware from the world’s technology leaders, SAP HANA helps streamline transactions and data processing. Its super-charging analysis and planning enables faster decisions through real-time analysis and reporting. The rapid proliferation of mobile technology allows for faster, cost-effective, enhanced-capability devices along. This growing ecosystem often overwhelms decision makers and hampers their ability to take the right steps to leverage mobile technology to drive business results. SAP’s Mobile Platform and other technologies such as SMP, SAP Fiori and SAP Syclo, extend organizational processes, data and information away from the work place, to help build a mobile enterprise through a combination on native and hybrid apps. These complement existing infrastructure and security while supporting the BYOD vision on a scalable platform. Experienced Virtual Data Model (VDM) development in Core Data Services (CDS) in S/4HANA, as well as deep knowledge of Basic, Composite, and Consumption Views IrisLogic SAP architects and consultants are available globally, whether it’s onsite, offsite, or mixed model – we have the right people and tools to help you. For past 18 years, IrisLogic drives excellence – not only in our performance, but also in the results we deliver for our clients. We are a global software consultancy that combines the insight of our strategists, the vision of our innovators, and the ingenuity of our engineers to achieve this extraordinary impact. Fortune 500 trusts us to build solutions focused on growing revenue and profits by amplifying competitive advantage and strengthening customer relationship.